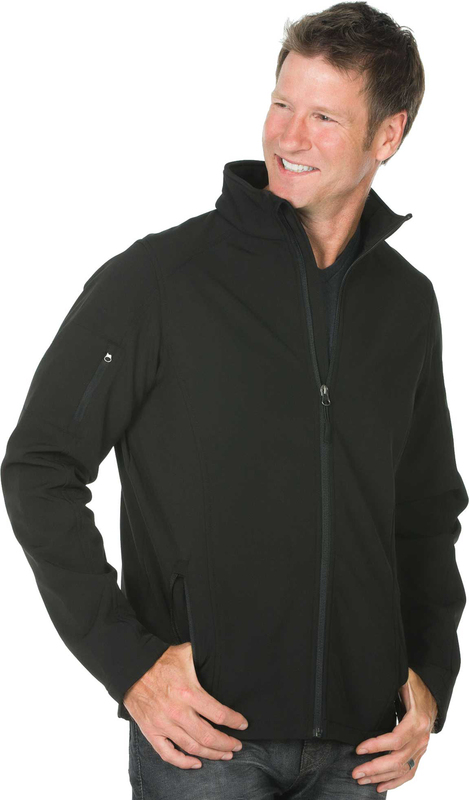 - Dunbrooke Mens Soft Shell Jacket. - 100% Polyester; 9 ounce/ 300GSM. - 4-way stretch 2-ply bonded softshell. - Wind and water resistant. 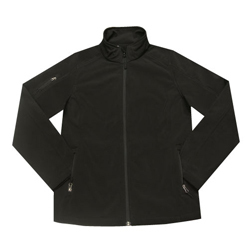 Dunbrooke Mens Soft Shell Jacket. Sonoma Softshell. Sonoma Softshell. 100% Polyester; 9 ounce/ 300GSM. 4-way stretch 2-ply bonded softshell. Zipper pockets on arm and side, center YKK zipper. Self-cuff and double stitched open hem. Wind and water resistant. Machine washable. Sizes: S-5XL/5251. Colors: Black, Graphite. Style ships from Eldorado Springs, MO.